Thank you for choosing our hotel, which offers a blend of Hungarian hospitality in an atmosphere of timeless elegance. Prestige Hotel Budapest****Superior, opened its doors in April, 2015 to call back the glorious time of peace. We hope that our hotel, reconstructed in 2014 from a former 19th century town house - built by Jozsef Hild, the most creative architect of the Hungarian neoclassicism and reform period - exceeds your expectations. 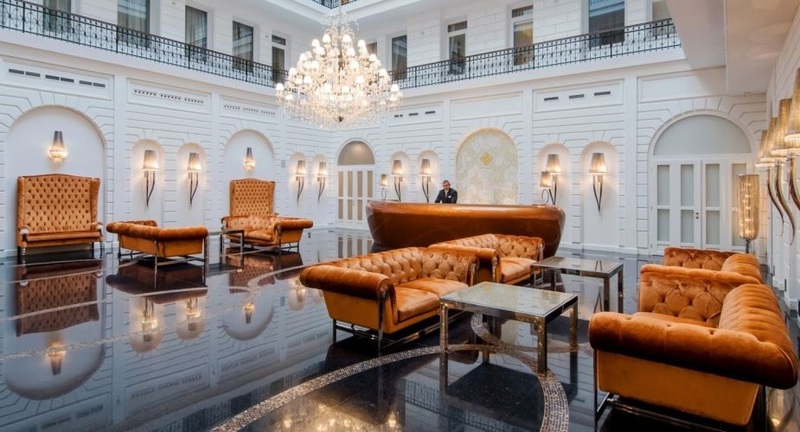 Magnificent architecture and divine cuisine - A marriage of these two has Budapest's Michelin-starred restaurant joined forces with a glorious, brand new hotel, set in a restored town palace. Visit the timeless elegance world Prestige Hotel Budapest****Superior in the heart of the city! Prestige Hotel Budapest****Superior is a member of the chain.